--- 31 July 2010 12:03 am. mon and i had a mini photo shoot today for my swooky ghost ep. i wish i could share the photos, because they are just ridiculous, but i have to refrain and wait till everything is finished! same thing goes for the music — it’s all screaming to be shared, haha. but here’s a peep. keep your eyes peeled and your ears to the ground. --- 19 July 2010 12:29 am. found this in the morning and i gasped. dance. punk. funk. no wave. and um, treasures. make sure to get the whole thing. 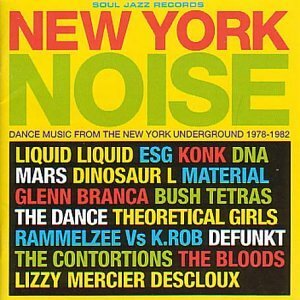 there’s a book too that looks really cool — New York Noise: Art and Music from the New York Underground 1978-88. i will most definitely have to check it out. --- 15 July 2010 4:43 pm. --- 14 July 2010 11:17 am. --- 12 July 2010 3:58 pm. --- 2 July 2010 11:16 am. --- 30 June 2010 8:32 pm. this is place is forreal. i’m having a blast in the desert/piney forests/huge chasm. photos to come. stick around. --- 27 June 2010 12:59 am. --- 25 June 2010 9:57 pm. and who can resist a shirelles cover. --- 25 June 2010 11:23 am. --- 25 June 2010 7:46 am. exactly how it works everytime i visit nj. --- 23 June 2010 8:43 pm. --- 17 June 2010 11:45 pm. --- 16 June 2010 3:12 pm. nothing sadder than a pretty girl who can’t dance. --- 16 June 2010 9:20 am.